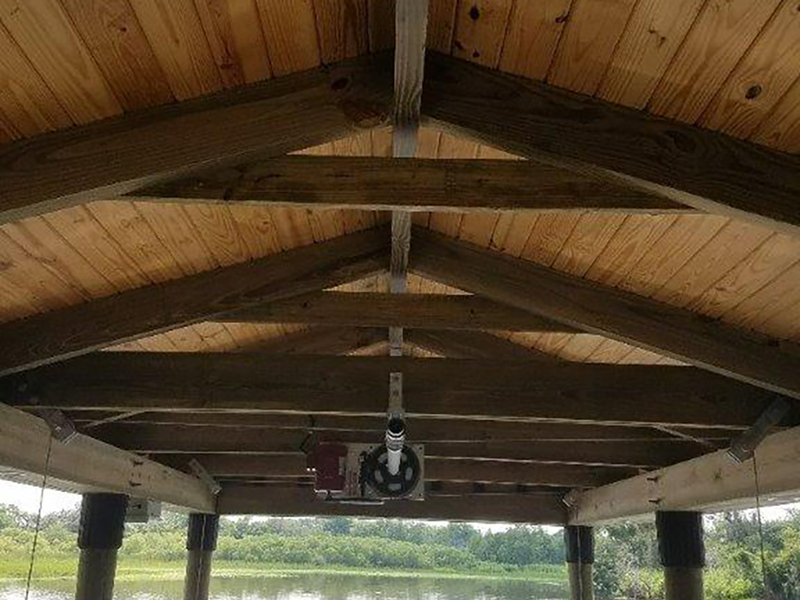 The Guerrina Boat Dock Project was a project that the original substandard dock builder abandoned. They left crudely spliced 6”X6” pile partially installed and a portion of the upland walkway built badly. 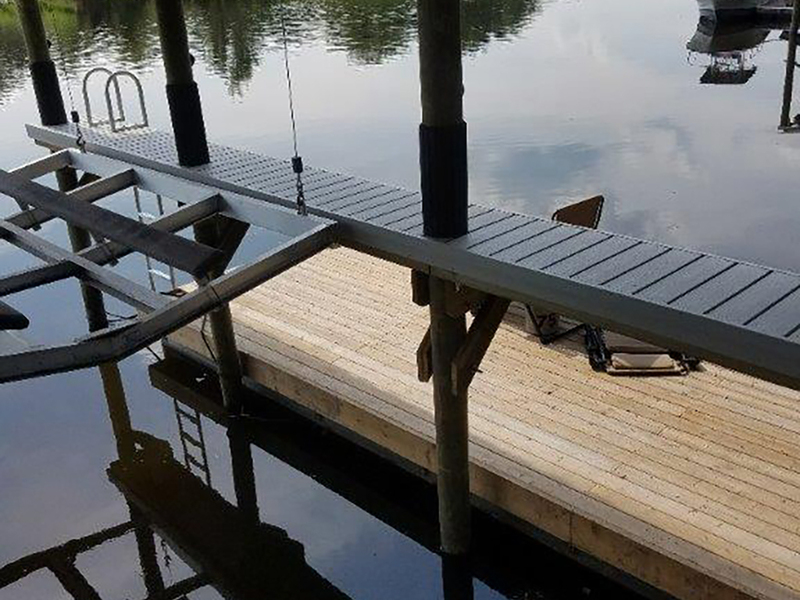 The original “dock builder” did not have the equipment or expertise to build such a project as is explained below. Fender Marine Construction was called in after the initial dock builder walked off the project. The water was fairly deep, 8ft on the lake ward end and 5 ft. on the landward end. There was also the added soils issue of 5-6 ft. of silt on the river bottom with the consistency of pudding, making it a quite a challenge to stand and install the piling into good soil which started 14ft. below the water surface on the lakeward end. We took the job over after mobilizing our two 8×28 sectional barges and Takeuchi 240 Mini Excavator. 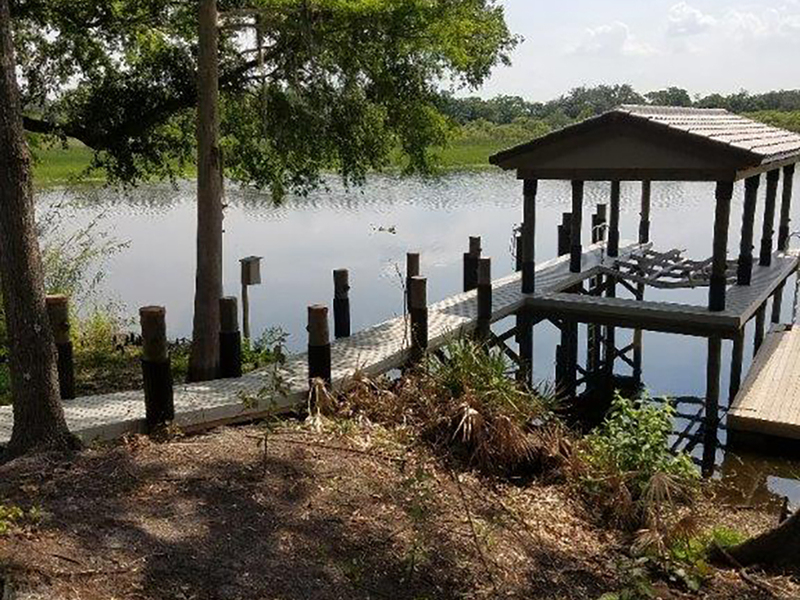 We removed all of the other contractor’s piling from the St. Johns River and installed (8) 9” diameter piling 30-35 ft. long for the entire boat house and 25-30 ft. long for Boat dock next to the boathouse. In order the insure the new pile were installed correctly, we installed the pile using the mini excavator to stand the pile in place while jetting and using the excavator bucket to push down on the pile as a hammer to hit it down on the pile to achieve adequate bearing capacity.